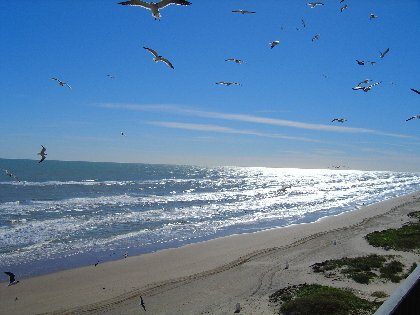 Enjoy a beach getaway on beautiful South Padre Island. The large private balcony is a perfect place for your morning coffee as you enjoy the fantastic view of the Gulf. Spend the day on the beach in front of the building or take advantage of the pool’s southern exposure to work on your tan. Your car can remain protected in covered parking while you take a pleasant walk to the Wana Wana Beach Bar, Ted’s Restaurant or Parrot Eyes Water Sports and Restaurant. Or catch the Island Metro (a free island bus) for a ride to the Padre Island Brewing Company or any of the many other island attractions. Book This South Padre Island Vacation Rental Direct By Owner!